Article originellement paru dans The National Interest. Par Célia Belin, visiting fellow au Center on the United States and Europe de Brookings et chercheur associé au Centre Thucydide, et Boris Toucas, visiting fellow au programme Europe du Center for Strategic and International Studies (CSIS). 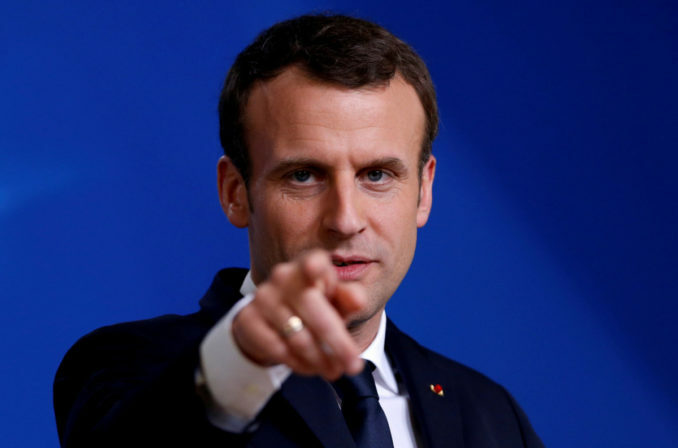 One month after his stunning victory, and three days before an unexpectedly large parliamentary win for his newly created party (La République en Marche), Emmanuel Macron, the youngest president of the French Fifth Republic, had every reason to be optimistic and enthusiastic. At the Viva Technology conference in Paris on June 15, 2017, he proclaimed the “beginning of a new momentum” in France: “I want France to be a startup nation, a nation that works with and for the startups, but also a nation that thinks and moves like a startup.” Although his enthusiasm could pass for naivety, the self-made political entrepreneur had himself achieved the improbable. An unknown technocrat only two years prior, Macron singlehandedly triumphed as France’s once fossilized political landscape collapsed. Macron’s promise of a new beginning also has extensive foreign-policy implications. Under the Macron presidency, France seeks to reinvent itself as a “startup power” that is agile, flexible, creative, and able to play great-power politics while leveraging multilateralism to advance both European and French interests. It hopes to take advantage of the acceleration of history instead of simply enduring it. The April 14 strikes on Syria in response to Syria’s use of chemical weapons, along with the United States and the UK, demonstrates France’s promptness to use force to uphold international norms. French decisiveness to reassert itself on the international stage should not come as a surprise, as the country’s transformation actually predates Macron—it has worked in the last decade to get rid of historical hindrances, old habits and moral rigidity. Whether the French project will succeed remains to be seen. France’s repositioning occurs as the post–Cold War international order is crumbling at quick pace. The United States, once a pillar of stability, has become unpredictable and less reliable. The European Union, plagued with internal disagreements and distrust toward democratic institutions, has yet to achieve significance on the world scene. Non-state actors and some revisionist powers, such as Russia, sow confusion among allies and destabilize the international-security architecture. An old power with a varnish of modernity, France will keep struggling with internal centrifugal forces (populism, nationalist retrenchment) and intra-European competition for years to come. Yet, Macron’s France seems determined to ride the storm, with the vigor of those who have survived the direst hardships. The challenge is now to infuse the form with substance, build credentials and gain a reputation of reliability among the international community, for startups often die from failing to transform an idea into a working business model. Jacques Chirac’s 2003 prediction of the rise of a “multipolar world” as France opposed the war on Iraq may have been a bit premature, yet the French president was prescient, if ten years too early, in anticipating the loss of U.S. hegemony in world affairs and gradual American withdrawal. The French experienced this new reality firsthand on “the day when everything fell apart” according to then-foreign minister Fabius, or “liberation day” for president Obama. On August 30, 2013, confronted to the Syrian regime use of chemical weapons, the world’s sole superpower felt crushed by responsibilities. President Obama decided against strikes, refusing to even “lead from behind,” and left the French government in the lurch. Both 2003 and 2013 served as wake-up calls for France: effective leadership must be backed by power. In hindsight, France in 2003 was a voice of wisdom only to be rewarded with isolation: European allies were either wary of defying the United States, or resented an arrogant France for telling them to “shut up.” Worse, as the French were chasing grandeur at the United Nations, they were losing rank, and clout, on all fronts. The early twenty-first century was tough for France, which sunk deeper into la crise. Mass protests stalled most ambitious legislative reforms, while France’s unemployment flared up after the 2008 crisis, until a high of 10.6 percent in 2015. French public debt kept creeping up to reach 98.1 percent of GDP in 2017, making it difficult to conform to European requirements. Traditional parties suffered humiliating defeats after another, starting with Le Pen’s good performance in 2002 and the French public’s resounding “no” to the 2005 referendum on the European constitutional treaty, which put the European project on hold. Unfulfilled promises of equality and a strict interpretation of laïcité—the French principle of secularism which largely excludes religious symbols from the public sphere—combined to produce an explosive social cocktail, illustrated by the 2005 youth riots in the banlieues and the recent “Burkini” controversy. Meanwhile Le Pen’s Front National continued gaining momentum through its “de-demonization” campaign. For most of the past decade, French society suffered from sclerosis, indulging in declinist theories. On the world stage, France’s star was fading: the French welfare model was deemed uncompetitive and non-reformable, and its unique assimilation model increasingly viewed as ineffective. France’s share in the world’s global output dropped by a third between 2003 and 2018. The country lost eight ranks in the World Economic Forum’s Global Competitive Index between 2008 and 2017. By contrast, Germany, the former “sick man of Europe,” having overcome the reunification burden, became Europe’s leading and most respected voice. France’s most tragic days were still to come. Altogether 245 people have been killed in terror attacks on French soil since 2015, 95 percent of them in three highly traumatic events (Charlie Hebdo, Paris attacks, Nice), targeting the highest symbols of French society (press freedom, Bastille Day, joie de vivre). Although new coordinated attacks have been successfully prevented since 2015, the threat of terrorism is today a constant preoccupation—42 percent of French citizens say that terrorism is in their top three worries, a figure similar to Israelis, and in 2016, 88 percent were dreading a terrorist attack in the next few months. While France’s decline had been slow and insidious, the unraveling of the world order between 2013 and 2016 seemed both devastating and unescapable. Violent readjustments came to confirm the shifts in the global power structure, and brought the West to the brink of disaster. The chemical taboo fell in Syria, adding to proliferation concerns in Iran and North Korea. Revisionist powers such as Russia used the opportunity to trample upon well-established rules, adopting non-state actor tactics, notably in Crimea and Donbass. Terrorists made territorial gains and attracted foreign fighters, more than one thousand of them French citizens. Waves of refugees shook to the core a Europe unable to reconcile its universal values with fears for safety and stability. Nationalist populism gained in all corners of the Western world disrupting the status quo, from the Brexit vote to the election of Donald Trump. The world’s fragmentation could have precipitated France’s further decline. Yet crises bring both risks and opportunities. Faced with terrorism and populism, France, to the surprise of many, some French included, did not collapse. On the contrary, the shock wave, reverberating through the entire nation, woke the country up. 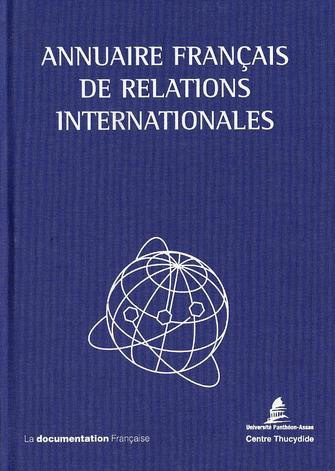 In these times of extreme international volatility and unprecedented security threats, France came to the realization that, in order to recover control over its own fate and preserve its national integrity, it had to re-think its international role and re-boot. Few would have predicted in 2016 that a French president would soon be hailed as a champion of the international liberal order. The election of Emmanuel Macron, an EU-enthusiastic leader, put a sudden stop to declinist theories and brought hope to reformers and pro-Europeans. Though unexperienced on the world stage, he acted as a magnet for international media in search of a new hero. Most had such low expectations for France that they dubbed Macron’s rise a “miracle,” which became a self-fulfilling prophecy as France swiftly climbed to the top of the 2017 Soft Power30 Index. In fact, France’s former lethargy and the “Macron miracle” are both overhyped, at least on the foreign-policy front. The country of Richelieu had already been undergoing a silent revolution to transform itself into a more agile power, under both Sarkozy and Hollande’s leadership. In 2008, France returned to NATO’s integrated military command structures, a strategic shift since the country’s special status in NATO had long been an essential pillar of its foreign and security policy. Yet, it had also become a hindrance in its relations with Atlanticist European allies, and reintegrating the NATO structure allowed France to sweep away suspicions about its EU defense projects, while mending fences with the United States. When Crimea was annexed, France began the next shift: it cancelled the sale of two Mistral-class amphibious assault ships to Russia, bolstered its declaratory nuclear policy, and strengthened its partnership with Estonia, demonstrating that Europe would stand united in front of the Russian challenge. In another radical move, France scrapped its old diplomatic conceptions of Africa. Faced with emboldened Asian and Middle Eastern powers on the continent, France was forced to revise its patronizing diplomacy. It took a decade, some lawsuits and a few political dramas to finally abandon its most complex legacy, la Françafrique, severing unhealthy diplomatic and personal ties with former African colonies in favor of pragmatic economic and security cooperation. Taking advantage of a reformed military apparatus that allowed for more flexible force deployment, it focused on stability efforts in a troubled Central Africa, and launched a massive effort on regional capacity-building, military training and counterterrorism in the Sahel, Europe’s southern antechamber. France’s military and diplomatic apparatus has also enjoyed a facelift. The French diplomatic network is already a well-oiled machine, ranking third in the 2017 Lowy Global Diplomacy Index, and Paris is quietly reallocating resources toward dynamic regions, especially in Asia. The restructuring allows France to make full use of its extensive network to transform flashpoints, such as China’s more assertive stance, into an opportunity to forge stronger bonds with Japan or India, and assert its regional presence. Building on a reputation of competence and efficiency in U.S. military circles, thanks to efforts in Afghanistan, Africa and the Middle East, France is now modernizing its military forces—its defense budget will increase by 1.7 billion Euros a year until 2023 and by three billion Euros a year beginning in 2023, setting France on course to fulfil the NATO 2 percent pledge by 2025. France has also become more competitive in the defense-exports market and is reviving its doctrinal reflection, with an emphasis on technological challenges, artificial intelligence and cybersecurity. Refurbished soft and hard power tools are ready for use. French foreign policy comes in new packaging: a disruptive communication offensive combining innovative techniques and traditional assets. Macron plays on France’s soft power when he invites Trump to the Champs Elysées and Putin to Versailles, in a demonstration of pragmatic cooperation overcoming strategic disagreements. Yet France’s unrivaled cultural and historical heritage also serves to smooth otherwise unwavering and assertive messages. The French president used his first joint press conference with Putin to call RT and Sputnik “propaganda agents” for their unfair coverage of the French election, doubling down with a proposed bill to ban “fausses nouvelles” during electoral campaigns. He trolled the American president with his now famous meme “Make our Planet Great Again”. The latter bold move made him an instant international media celebrity, without much harm to the U.S.-French relationship. Macron’s flawless English and flair for theatrical statecraft puts France at the center of international relationships in ways that considerably expand the country’s global influence. Macron strives hard to create and entertain a network of like-minded investors, including in an area where no one dared to innovate and invest anymore: the European Union. The former Rothschild banker is deeply conscious of the potential of a distressed asset with high upside: Europe is a power multiplier for France, and he intends to convince others that it can be one for them, too. As soon as he took power, the French president started pushing for economic reforms (creation of a Eurozone budget and finance minister), political revitalization (democratic conventions on the future of the EU, treaty renegotiation) and European defense integration (permanent structures, common intervention force and doctrine of strategic autonomy). Macron’s vision is one of a “Europe that protects Europeans” from unfair trade practices outside and from social dumping inside, and a “sovereign Europe,” that proudly defends its model on the world stage. The French president made such a forceful push for change in Europe, and for Franco-German leadership, that German political parties felt compelled to try and answer France’s expectations in their February coalition agreement. The French foreign policy’s new trademark is agility, combining swift decisionmaking, resolve and timeliness, adapted to an age when Russia throws the West off balance with its tactical surprises. Early in Macron’s tenure, France tackled the thorny problem of Libya through an exclusive meditation effort at the Celle-Saint-Cloud. France continued to surprise when it put Saudi Arabia under heavy pressure to send Saad Hariri back to Lebanon last November. It did not hesitate to circumvent the U.S. government’s skepticism on climate change by mobilizing directly American States and businesses during the December 2017 One Planet Summit. Faced with Trump’s pledge to dismantle the Iran nuclear deal, the French are adopting a two-pronged strategy: mitigating the potential U.S. decision by offering to work on the issues of Iran’s ballistic missile program and regional overreach, while playing the role of an intermediary with Teheran. Whenever core interests are at stake and tensions are mounting, it is better to strike first, and then offer a deal. Flexibility complements agility. A staunch advocate of multilateralism, France is also pragmatic in its contours, for it knows that the United Nations is facing the assault of unilateralism and the increasing influence of States with radically different agendas, first among them China. Confronted with this reality, Macron promotes the idea that France should be “mobile and autonomous” by “opportunistically building ad hoc alliances to stay efficient” and “putting in place new multilateral frameworks.” France will continue to use its legitimacy as a permanent Security Council member to take the lead on multilateral initiatives, from universal healthcare to education and climate change, but it has also been advocating a reform of the Security Council and veto power for years. The French are tenacious in defending existing rules, yet do not hesitate to promote mini-lateral formats to achieve peace and security goals—Normandy format, E3+3, etc. On its new landmark policy priority, climate change, France revived its credibility as a bridge between North and South through the success of the 2015 COP21 conference, a model of multi-actor multilateralism. With its decision to strike Syria for its use of chemical weapons on April 14, without a clear UN Security Council mandate, France seeks to send the signal that its commitment to defend well-established international norms (in this case nonproliferation) can take precedence over its general policy to secure a consensus with major powers and the international community, at least when such norms are deemed vital to protect the international-security architecture. Since the promise of startups is based on hypothetical future gains rather than on immediate dividends, they are particularly vulnerable to investors’ leaps in faith. France’s accomplishment as a startup power will ultimately depend on its ability to successfully reform, demonstrate internal resilience and develop a coherent international vision. In the current global context, France’s situation is favorable for lack of contestants among Western democracies. Domestic politics prevents both the United Kingdom and Germany from playing a leadership role in Europe, leaving the field to France. Trump’s America is all too happy to pass the torch. By contrast, Macron enjoys a wide mandate for shaking up institutions and habits, and foreign policy is traditionally a consensual topic in France—in 2017, 82 percent of French wanted its military budget preserved or raised, and 86 percent supported military action against ISIS. Sustaining the momentum might prove tricky if France balks at implementing its own recommendations. Macron will be judged on his pledge to bring new dynamism to the labor market, reduce unemployment, launch modernization reforms, and attract entrepreneurs and foreign talents. France is on the right track but it is still struggling with its own demons. The political landscape is in a shambles and a failure to deliver could nurture infighting. The internal terrorist threat remains extremely high (twenty-eight attempts and three successful attacks in 2017), military forces run the risk of overstretch and the French society is still on edge with regard to identity and religion, as shown by the nervousness surrounding Macron’s project to reform “the Islam of France.” If the “Macron miracle” fails internally, it will be short-lived abroad. France’s project is more likely to succeed if embedded in a larger incubator, building on collective innovation and outreach. Europe is France’s startup hive. The United Kingdom must exit the Union in an orderly fashion, and Germany, France’s indispensable partner in crime, needs to be willing, and able, to deliver on EU reforms. Internal European divisions will have to be healed by forcefully protecting European values without being arrogant, especially when dealing with democratic backsliding in Poland or Hungary. France might have a hard time preserving its foreign-policy agility in the context of an EU integrated framework. France will also need to help strengthen the African incubator, the world’s talent pool and growth reservoir for the next century. It is not only for historical reasons that France is dedicating efforts to promoting the G5 Sahel organization aimed at building stability under a regional leadership. A stable and prosperous Africa would open up new economic opportunities for Europeans, easing the pressure to bow in front of Russia’s assertiveness on the eastern flank. All things considered, the biggest risk France faces in the short run is hubris, as the Western night makes its light appear even brighter. Unafraid to use force to fight terrorist groups or uphold international norms, France could antagonize less interventionist European partners, or could lose its special voice as a bridge with non-Western nations. Yet on the current world stage, even an emboldened French president is unlikely to beat his Turkish, Russian or American counterparts. For the time being, the French startup is still only bound to deliver proof of concept rather than evidence of results. Under these conditions, no wonder that Macron’s ambitions are larger-than-life: he hopes to restructure European politics along the lines of the French experiment before 2019, he posits France as a global actor for innovative solutions for peace with the creation of the future Paris Peace Forum, and he keeps refining its international image. France is busy coming back.